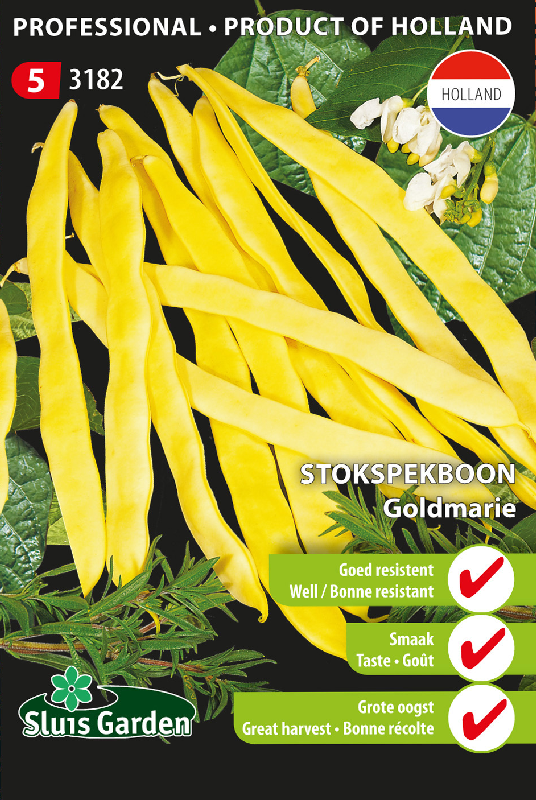 Goldmarie gives early pickings and is very resistant to adverse weather. 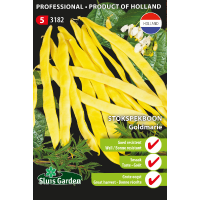 The approximately 20 cm long, broad and fl eshy beans are sweet and aromatic in taste, but moreover completely stringless. Must be picked in time! For an early harvest sow in a greenhouse or pre-sow in pots. Beans thrive in the warmth. Too much wind and particularly night frost can be very harmful. Sow or transplant after mid May in the garden. Erect poles in a roof shape, and sow approx. 5 seeds next to each pole. Later guide the plants upwards.